The Mississippi Levee Board (MLB) was created right after the Civil War to build and maintain levees in the Mississippi Delta. The US Army Corps of Engineers (Corps) took over levee building in 1927. But the MLB, located in Greenville, still maintains them. It has had some famous Chief Engineers in its storied history. 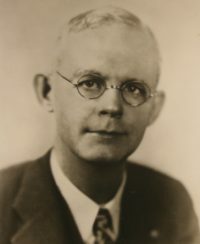 One of them was W. E. Elam, Chief Engineer from 1946 to 1951. He advocated bold changes in river engineering. His idea to straighten and shorten the river was implemented in the 1930’s and early 40’s under the Mississippi Rivers and Tributaries Project (MR&TP). Congress authorized the MR&TP in 1928 to control flooding on the Lower Mississippi and put the Mississippi River Commission (MRC) in charge of the Corps to do the work. The Delta had lots of clout then. And still does. So, it has received most of the MR&TP funding in Mississippi. And has most of the levees. They protect against floods along the Yazoo Rover as long as it can flow into the Mississippi. But when the Mississippi is high, the Yazoo backs up and causes backwater floods. More frequent backwater floods are due to the rising river. The river is rising because Elam’s cutoffs no longer speed floods to the sea — thanks to the Corps which bottles them up by its operation of the Old River Control Complex (ORCC) just south of the Mississippi state line. Elam’s book was published in 1946, four years after 16 cutoffs from north of Greenville to south of Natchez were completed. They shortened the river by 152 miles. The shorter river was supposed to speed floods to the sea and make them shorter, lower, and less damaging. It did until the Corps slowed the floods flowing to the sea. Elam described the evolution of flood control. Engineers realized that there are limits to how high you can build levees to contain floods and how long you can contain them. It would be better and cheaper to speed the floods to the sea. Hence the cutoffs, weirs, revetments, etc. to shorten and steepen the river and channel its flow. Of course, you had to discharge the floods via the outlet at New Orleans when they reached the bottom of the river. And also via the Atchafalaya Basin north of Baton Rouge because the outlet at New Orleans did not have enough capacity. Elam and others envisioned a new channel there to add capacity. It wasn’t built. So, the river took the existing channel down Old River to the Atchafalaya River and then to the sea to relieve floods — naturally. Until the Corps routed it through three flow control structures near Old River. And restricted its discharge. Elam, of course, didn’t know the Corps would restrict the flow. But he could have predicted the result. The river would back up, rise, flood the batture, and cause backwater floods on the Yazoo and other tributaries. It has. Floods are highly correlated with the rising low stage. For example, the river was above flood stage five times in 32 years from 1940 to 1972 (about once every 6 1/2 years) when the average low stage was 0 feet. It has been above flood stage every other year on average since then when the low stage was three feet higher and 7 of the last 10 years when the average low stage was six feet higher. It’s probably not coincidence that it floods more when the low stage is higher. Six feet may not seem like a lot. But the design freeboard of Mississippi’s main line levees is only three feet. Those who supported the Yazoo Backwater Pump Project didn’t know it wouldn’t be built either — thanks to the EPA. But they could have predicted the result: no relief for backwater flooding. It was supposed to pump backwater into the Mississippi when it’s above flood stage and the Yazoo River can’t flow into it. So how does the Yazoo’s water get into the Mississippi when it’s high? It doesn’t. About 600,000 acres were flooded by backwater in 2011. It happens frequently when the Mississippi is above flood stage. Would it help to reduce the frequency of floods above flood stage? Yes. How? Here’s a suggestion. Drop the low stage six feet at Vicksburg to offset the rise. The Corps could probably do that if it could use the ORCC for flood control and increase the 23% discharge. But it takes orders from the MRC which takes orders from Congress. Both are slow to change how the ORCC has operated for 53 years. Both were slow to change in Elam’s day too when cutoffs threatened the status quo. But Elam persevered. He knew that failure and public opinion caused change. Then. I think public opinion still does.